Anything that needs to be done in or to a building is a work order. Whether the task is as simple as cleaning the entry way to the elevators or as complicated as coordinating the helicopter drop of your new HVAC system, it needs to be tracked and managed. Work orders are at the heart of property and facilities management. Without them, keeping record of what needs to be done, what has been done and what is being done is a monumental drain on resources: time, money, and personnel. 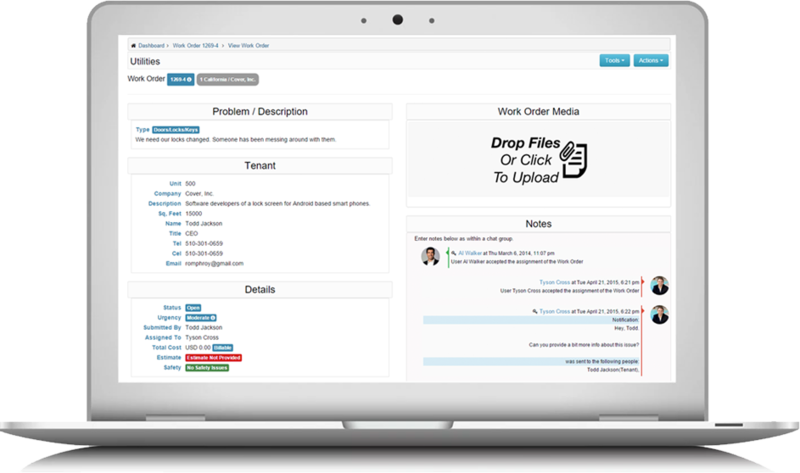 Easyworkorder.com’s Work Order Management module is the heart of our offering. It has powerful, yet easy to use features that make managing the flow of property & facilities work a breeze. Its intuitive interface and its time saving features like: Built-in Mobility, e-Work Requests, e-Vendor Replies, Drag-and-Drop Pictures, reduce projects to simple tasks that require little more than a few seconds and a few mouse clicks. In conjunction with our Building Management and Equipment Management modules, property and facilities managers can record and monitor everything related to buildings and equipment, including Preventive Maintenance. Mobility is everything. Life happens fast and the work doesn’t care where you are. To keep up, you’ve got to be informed in real time. Easyworkorder has mobility built-in, which means you can free your employees from their desk and they can stay abreast of what’s happening in the field. There’s no app to download and Easyworkorder works on any internet connected, mobile device. We’ve extended the power and flexibility of our work order with the ability to drag and drop pictures or files right into a work order. Need to see the face plate information on your boiler? Want to add the pdf room diagram for your meeting setup? No problem. 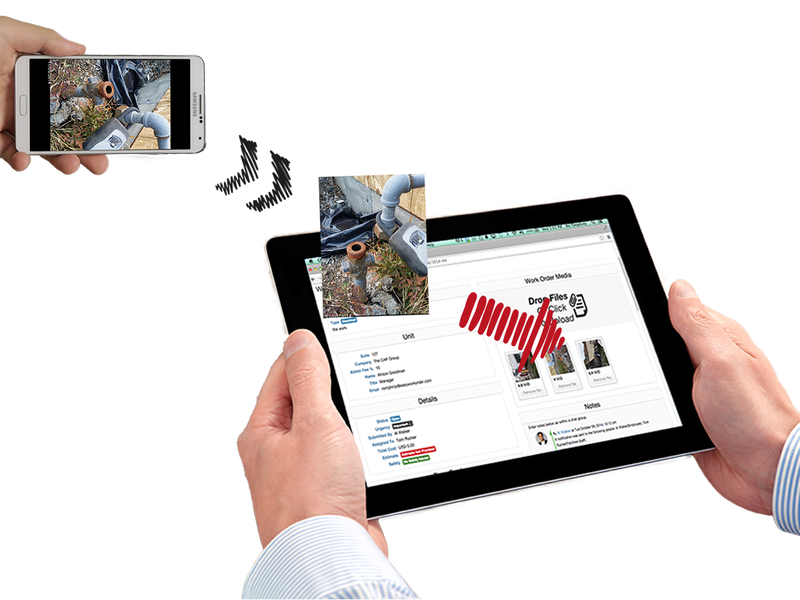 Drag-and-drop it or snap a photo from your mobile device. It gets added to the work order and everyone has access to it. Who needs to meet deadlines? Everyone! It is so important, we made it easy to see where a work order stands with respect to its due date. We’ve even add a Days-Left Indicator, that changes color when a work order is overdue. 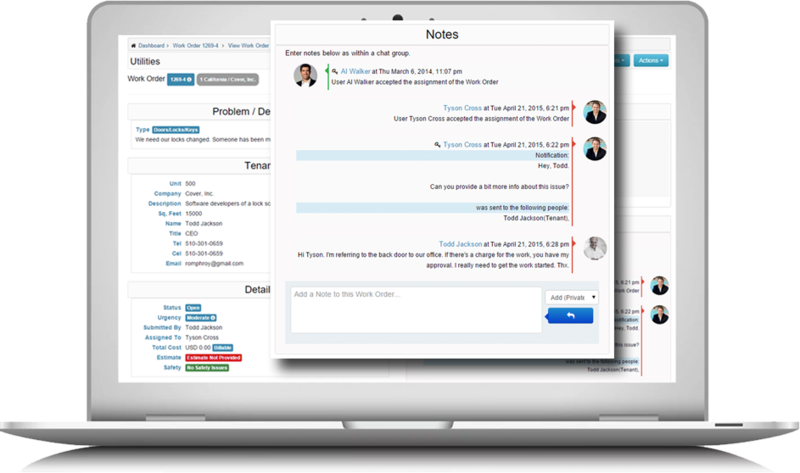 Easyworkorder keeps you on task and on time. 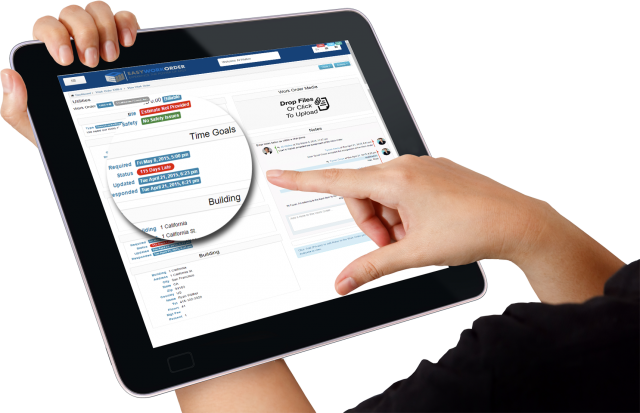 Easyworkorder tracks the running chronology of activity in a work order. At any given point, you can see what has been done, by whom and when it was done. This makes it easy for your team to jump into any work order and come up to speed almost immediately. 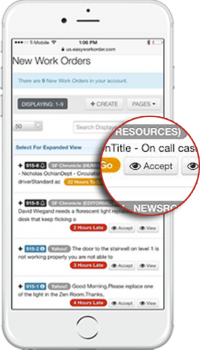 We track all requestor communication, vendor communication and staff communication. You won’t miss a thing. Easyworkorder includes a host of other very powerful features within its work order.